Corporate head office is based in Montgomery, Texas, ideal for providing direct support to clients in the U.S. Gulf Coast Region, including the many global entities with engineering and procurement offices located in this strategic oil and gas industry center. The facility includes conference and product demonstration rooms and our integration workshop. 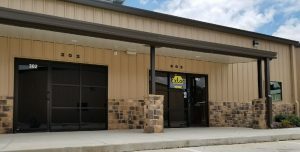 Since relocating our head office to Texas we have maintained satellite sales offices in Virginia to provide local support in the Mid-Atlantic and Mid-West regions. Our specialized portfolio of products and high level of technical support is now available locally in the South East Asia region. Located in Singapore, a major oil and gas industry hub, our office is ideally positioned to cover this important industrial region. Thank you for visiting our Web site. Please take some time to look around and familiarize yourself with the contents of our catalog. Then bookmark us for your future needs!